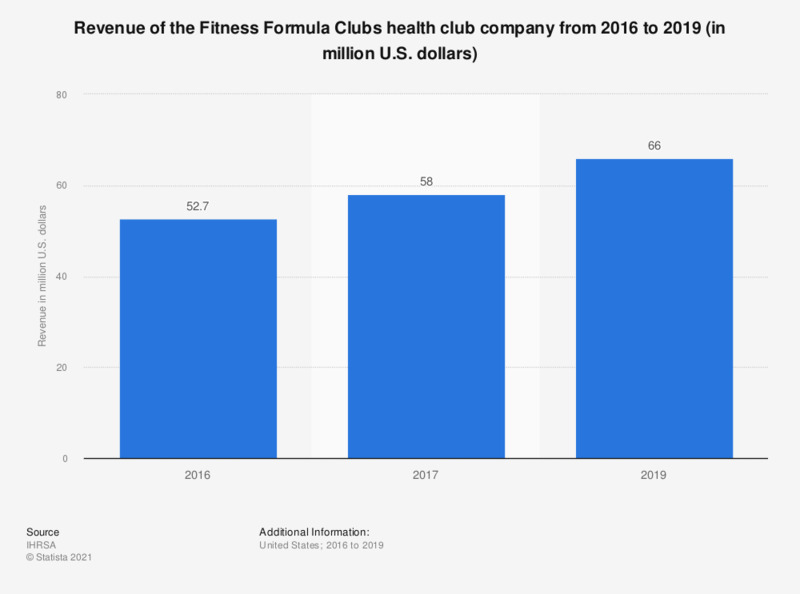 The statistic depicts the revenue of the Fitness Formula Clubs company from 2016 to 2017. In 2017, the health club chain generated 58 million U.S. dollars in revenue. In 2017, the Illinois (USA) based company operated 15 clubs.